The MiG-29 (NATO code "Fulcrum") is one of the most advanced combat airplanes in the Russian Air Force representing the 4th generation jet fighter aircraft. It has a superior power/weight ratio, excellent aerodynamics, and a wide view from the cabin that guarantees unforgettable and impressive views for the tourist. It was designed for gaining air superiority for the Soviet Union during the early 1980s. It became the first aircraft in the world, of it’s class, that combined unsurpassed efficiency in agility (dogfights) and the ability to attack using middle-range and short-range missiles. 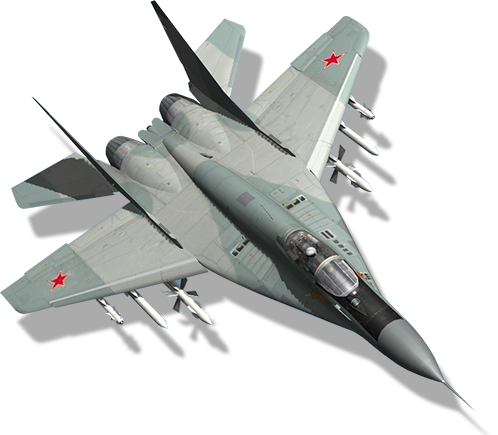 The Fulcrum, or MiG-29, is probably the most well-known fighter jet amongst military officers. It is one of the most advanced airplanes in the world, it has turbo-jet engines, possesses a superior ratio of power over mass (Thrust to Weight ratio) coupled with excellent aerodynamics, and a wonderful wide view from the cockpit. 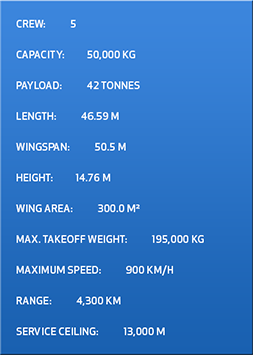 It is equipped with two RD-33 turbofan engines and it is the world's first aircraft fitted with dual-mode air intakes. 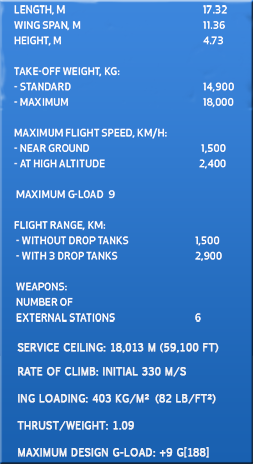 These entire characteristics make the aircraft the most effective in any aerial combat. The basic version of the MiG-29 aircraft is made for destroying attacks using missiles and built-in guns against all types of air targets in fair and adverse weather conditions, in look-up and look-down situations, including jamming conditions. 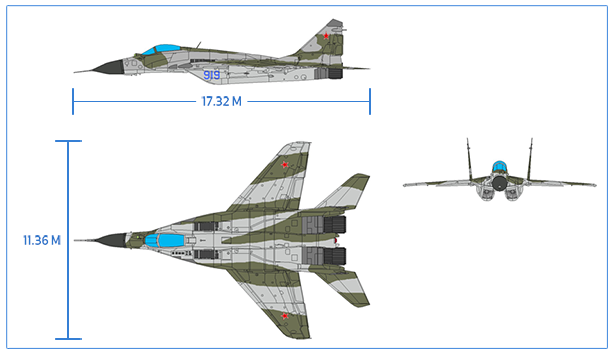 The MiG-29 is about the same in size as the American F-16 and F/A-18 fighters and they share similar combat specifications. The MiG-29 Fulcrum has become the favorite jet fighter in the Russian Air Forces with different modified versions currently operating in more than 25 countries around the world (such as Algeria, Bangladesh, Belarus, Bulgaria, Cuba, Germany, Hungary, India, Iran, Kazakhstan, Malaysia, North Korea, Peru, Poland, Romania, Slovakia, Syria, Sudan, Ukraine, Uzbekistan, and many others). In most of these countries, it has become the main choice of a front-line fighter for their respective national air forces. 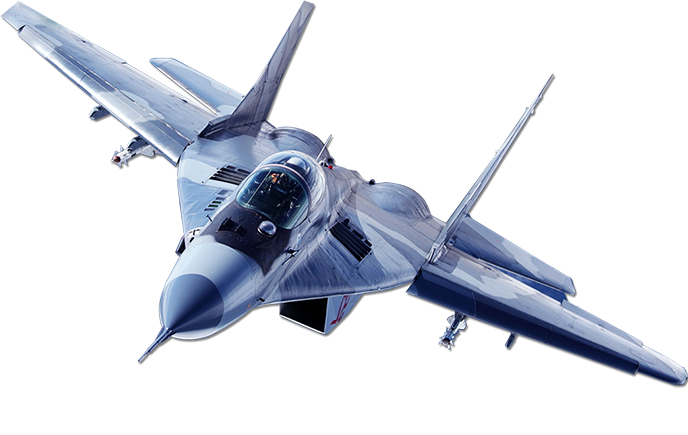 In 2005 the Russian Aircraft Corporation "MiG" started the production of the new unified family of multi-role 4th generation fighters which include: the aircraft-carrier based MiG-29K, the front-line MiG-29M and the MiG-35 fighters. The L-39 Albatross is a high-performance jet trainer developed in Czechoslovakia. 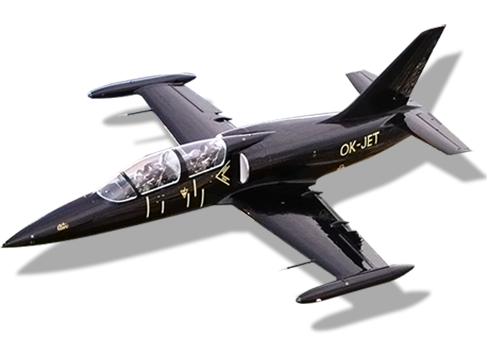 The Czechoslovakian L-39 was built as the successor to their earlier trainer, the L-29 Delfin. Design work began in 1966, and the first prototype made its initial flight on 4 November 1968. 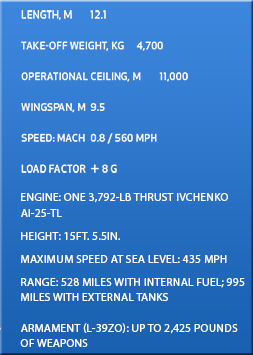 The L-39 aircraft is a low-wing, tandem seating, all metal turbofan powered aircraft designed for basic and advanced training, including weapon delivery practicing, as well as for light attack tasks. 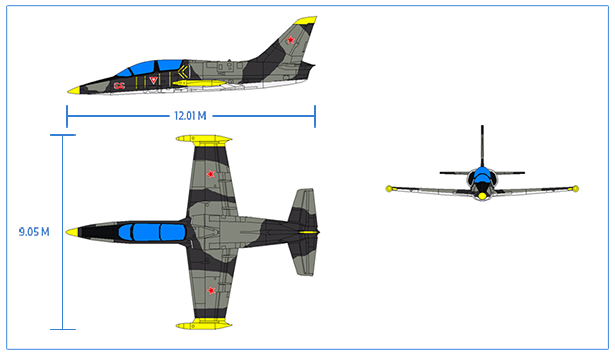 More than 2,800 L-39 jets have been delivered worldwide and has accumulated over 4,000,000 flying hours. The Ilyushin Il-76 MDK (NATO reporting name: Candid) is a multi-purpose four-engine turbo strategic airlifter designed by the Ilyushin design bureau. It was first planned as a commercial freighter in 1967, as a replacement for the Antonov An-12. It was designed for delivering heavy machinery to remote, poorly served areas of the USSR. 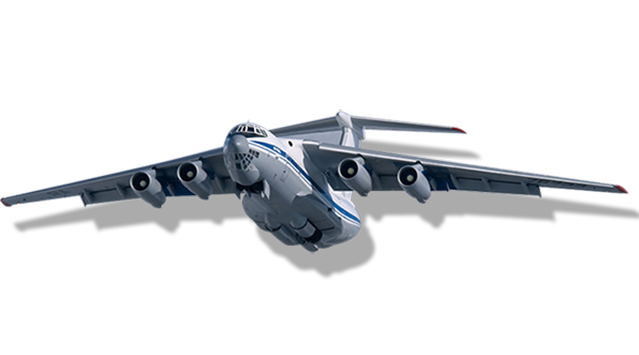 Military versions of the Il-76 MDK have seen widespread use in Europe, Asia and Africa, including use as an airborne refueling tanker or as a command center. IL-76 MDK medium-range transport aircraft is produced by the Ilyushin Aviation Complex Joint Stock Company in Moscow, along with the Tashkent Aircraft Production Corporation in Tashkent, Uzbekistan. More than 500 aircraft have been produced since service entry in 1974. 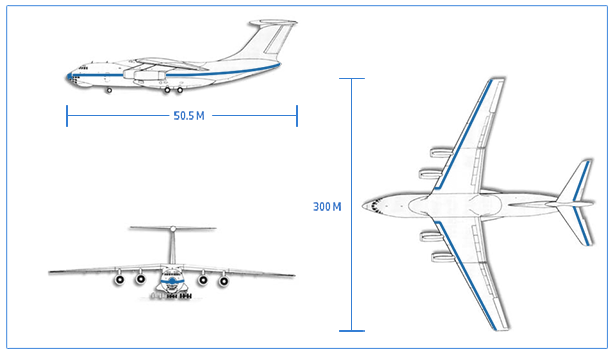 There are several design variations, including the basic IL-76, IL-76M, IL-76MD and the IL-76-MF. Because of its ability to operate from unpaved runways, it has been useful in undeveloped areas. Specialized models have also been produced for aerial fire-fighting and Zero-G training.